Click the above to go to book. Are you interested in understanding what Romans 13 and other related verses really teach about the relationship of a church and of individual Christians and families to civil government? Has your preacher ever preached on the verses? If so, what position did he take on these verses? Did he interpret the verses in their immediate context and in the overall context of Scripture? Did he explain why the first Christians, including the apostles, as well as God’s own angels and many other biblical characters repeatedly violated, and were sometimes rewarded by God for violating, the modern American “interpretation” of those verses? Did he tell you about the Christians since New Testament days who have been subjected to the most cruel tortures and killed (tarred and feathered, twisted on racks, boiling oil poured down their throats, thrown in with wild beasts, beheaded, pulled apart, beheaded, drowned, buried alive, hanged, etc.) for disobeying the powers that be for refusing to recant their faith in the Lord Jesus Christ and in Him alone? Did he explain to you that in America the First Amendment provides for religious liberty and that no church is supposedly required by man’s law to incorporate, get a 501(c)(3) tax exemption, or to become a legal entity of any kind? Did he explain to you the biblical doctrines of church, state, and separation of church and state? Romans 13.1-2 and related verses are among the most abused Bible verses in America today. I use the word “abused” as opposed to “misinterpreted,” although people also misinterpret the verses while abusing them. According to Webster’s Dictionary, abuse means “to put to a wrong or improper use” or “to use so as to injure or damage.” Webster’s defines “misinterpret” as “to explain wrongly” or “to understand wrongly.” Those who use Romans 13.1-2 and related verses to justify submission to civil government in all matters, including spiritual matters or matters involving the first four commandments, have abused those verses. They have not considered the immediate and overall context of Scripture in reaching their conclusions. They have assumed state superiority in ecclesiastical affairs and the use of religion to further state policy. Such an assumption has been labeled as Erastianism and this assumption or philosophy pervaded all Europe, with the exception of Calvin’s ecclesiocratic Geneva, after the Reformation, and achieved its greatest triumph in England. Sadly, this assumption is widely accepted in America today. The verses used to support Erastianism include Romans 13.1-2 (“Let every soul be subject unto the higher powers…. 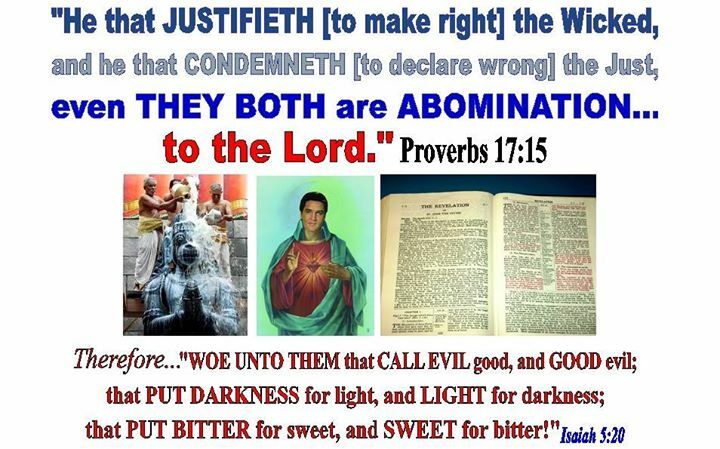 Whosoever resisteth the power, resisteth the ordinance of God: and they that resist shall receive to themselves damnation….”), and other Bible verses such as Matthew 17.24-27 (“Doth not your master pay tribute? …”), Luke 20.25 (“Render unto Caesar….” which is also recorded in Matthew 22.21 and Mark 12.17. ), 1 Peter 2.13-14 (“Submit to every ordinance of man….”), and 1 Timothy 2.1-6 (which exhorts Christians to pray for all men, including rulers). Many nonbelievers as well as carnal and/or baby Christians in America confidently quote one or more of these verses out of context to support their position that Christians are to bow down to civil government in all things, or all things except limitations on the preaching of salvation. 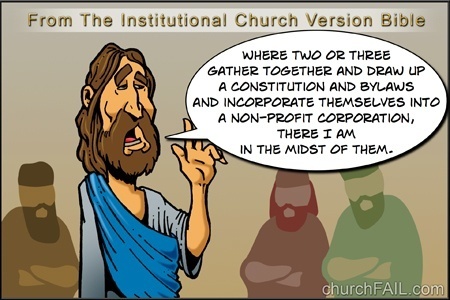 Some go further and take the unbelievable position that these verses mean that churches should become state churches by incorporating, becoming unincorporated associations or charitable trusts, operating as corporations sole, getting 501(c)(3) tax exemption, or by some other means and that churches which do not are in sin. Many of those Christians and churches who take this position pressure churches which are under God, and God only, to put themselves under the state through one of the methods mentioned above. church incorporation and 501(c)(3)), F. God Betrayed/Union of Church and State in America, Legal issues from a biblical perspective (e.g. Jerald Finney teaches on “The Internal Revenue Code 501(c)(3) Exemption-Definition-Control Scheme” Left click to hear Jerald Finney teaching on this subject. Right click the link and then left click “Save link as…” to download. The teaching is preceded by a hymn sang by Rocky Otwell, a great man of God, and prayer. The teaching is approximately 25 minutes, not including the song. “And the lord commended the unjust steward, because he had done wisely: for the children of this world are in their generation wiser than the children of light” (Lu. 16.8b). It is amazing to see that most of the fundamental “Bible believing” pastors and Christians that I know believe that something is wrong with a church who refuses to incorporate and get Internal Revenue Code (“IRC”) §501(c)(3) (“501(c)(3)”) status. Biblical principles are against incorporation and 501(c)(3) for churches, and civil law does not purport to require that churches get either corporate or 501(c)(3) status. In fact, the First Amendment to the United States Constitution, laws, and regulations of the federal government as well as the constitutions, laws, and regulations of the states guarantee that churches may remain free under God without persecution. This article addresses church 501(c)(3) status. 501(c)(3) invites churches to seek a tax exemption from civil government, even though the First Amendment already has erected a “high and impregnable wall” of separation between church and state which forbids civil government from making any law, including any taxing law, respecting a New Testament Church. The more I study the subject of “separation of church and state,” the more I realize that secular scholars have more insight into the issue than do most of those, including pastors, who call themselves fundamental Bible believers. Both the Internal Revenue Service and secular scholars know that churches are not required by law to be incorporated and get 501(c)(3) status and that 501(c)(3), as applied to churches, is an exemption-definition-control scheme which is implemented simply by invitation. In this article I give a brief review of the 501(c)(3) exemption-control-definition scheme and insights from the law, from the Internal Revenue Service, and from legal scholars. 5. the organization’s purposes and activities may not be illegal or violate fundamental public policy. The above listed rules, except for rule number 5, are stated in 501(c)(3). The original 501(c)(3) law had no accompanying rules, but four of the five were added by legislative enactment, and signed into law by the president. The last one, “may not violate fundamental public policy,”is not stated in the law; that is, it is not listed as a requirement in § 501(c)(3). This requirement was unilaterally implemented by the Internal Revenue Service and upheld as law by the United States Supreme Court in the illogical Bob Jones University, 461 U.S. 574, (1983) case. The federal government may add additional requirements to the law in the future. Under these rules, the state controls, defines, and instructs a corporate 501(c)(3) religious organization to a large degree. Control and definition go hand in hand. The federal government wants to control churches, and does so through 501(c)(3). A study of relevant law, as well as IRS regulations and legal scholarship reveals that 501(c)(3) is voluntary and that it is a control-definition scheme. IRC § 508(a),(c), in line with the First Amendment, says churches are excepted from obtaining § 501(c)(3) tax exempt status. In other words, churches are non-taxable; and, therefore, churches are an exception to the civil government requirement that certain organizations file for 501(c)(3) tax exempt status. Thus, the law recognizes that a New Testament Church is non-taxable under the First Amendment to the United States Constitution. In the exemption and restriction scheme, the government extends an invitation to incorporated “religious organizations” to receive a tax exemption in return for allowing the government to interpret and categorize their expression and activities. “The imposition of a tax is, after all, an assertion of power and an ‘application of force.’ The same is true of the decision not to tax, or to exempt from taxation. A power is no less real that is exercised selectively or indulged with restraint. The decision to exempt certain associations, persons, activities, or things from taxation presupposes and communicates the ability to do otherwise; definitional lines drawn to mark the boundaries of such exemptions implicitly assert the power to draw them differently…. My claim here is that the decision to exempt religious associations from federal taxation may reasonably be regarded as an assertion of power—the power, perhaps, to ‘destroy’—over these communities, their activities, and their expression…. “In other words, maybe the power to tax churches, to exempt them from taxation, and to attach conditions to such exemptions really does as Chief Justice Marshall quipped, ‘involve the power to destroy’ religion. Neither heavy-handed repression nor even overt hostility toward faith is required, but merely the subtly didactic power of the law. Government need only express and enforce its own view of the nature of religion—i.e., that it is a private matter—and of its proper place—i.e., in the private sphere, not in politics—and religious believers and associations may yield to the temptation to embrace, and to incorporate, this view themselves…. “It is an exemption-and-restriction scheme in which the government extends an invitation to ‘religious organizations’ to receive a tax exemption in return for allowing the government to interpret and categorize the expression and activities of the church. There is the danger that, having made their own the government’s view of religion’s place, now-humbled and no-longer-prophetic religious associations will retreat with their witness to the ‘private’ sphere where—they now agree—they belong, leaving persons to face the state alone in the hollowed-out remains of the public square…. “Still it strikes me that the Internal Revenue Code Section 501(c)(3)’s exemption-and-restriction scheme is noteworthy in the extent to which it invites government to label as ‘propaganda’ or ‘campaign[ing]’ what are, for religious believers and communities, expressions of their faith and responses to their calling. It is far from clear that this is an appropriate task for the liberal state…. “My concern … is that the premises of the conditional exemption scheme, the labeling it invites, and the monitoring of distinctions it creates will tame religion by saying what it is and identifying what it is not, tempt religion to revise its conception of itself and of its mission, and convince religious consciousness to internalize the state’s own judgment that faith simply does not belong in politics…. “[The tax exemption] is simply the government’s way of paying churches not to talk about certain things, enforce certain beliefs, or engage in certain actions—in other words, it’s the government’s way of privatizing the church…. “By determining for its own purposes the meaning of religious communities’ statements and activities, and by enforcing the distinctions it draws, government subtly reshapes religious consciousness itself. In other words, by telling religion what it may say, really is saying, or will be deemed to have said, and by telling faith where it belongs, government molds religion’s own sense of what it is…. “[Certain pronouncements] led my colleague, Professor Bradley, to suggest in another context that ‘[t]he Court is now clearly committed to articulating and enforcing a normative scheme of ‘private religion.’ Indeed, he argues powerfully that the Court’s post-Everson v. Board of Education cases ‘are most profitably understood as judicial attempts to move religion into the realm of subjective preference by eliminating religious consciousness.’ … [T]he Court turned to privatization ‘as the ‘final solution’ to the problem of religious faction.’ Its ambition—not merely the unintended effect of its decisions—is not only to confine the potentially subversive messages of religion to a ‘nonpublic ghetto,’ but also to revise and privatize the messages themselves. Having acquiesced to judicial declarations that it is a private matter, and accepted that its authority is entirely subjective, religious consciousness is unable to resist the conclusion that its claims to public truth are ‘implausible nonsense,’ and therefore cannot help but concede the field of public life and morality to government…. “[T]his privatization of religion is not simply its institutional disestablishment or an entirely appropriate respect on government’s part for individual freedom of conscience and autonomy of religion institutions. Nor is the claim only that the exemption privatizes religion by deterring political activism and silencing political advocacy by religious believers and communities. It is, instead, that the exemption scheme and its administration subtly re-form religion’s conception of itself. Government evaluates and characterizes what churches say and do, and decides both what it will recognize as religious and what it will label as political…. “[P]rivatization of the church is its remaking by government and its transformation from a comprehensive and demanding account of the world to a therapeutic ‘cacoon wrapped around the individual.’ It is a state-sponsored change in religious believers’ own notions of what their faith means and what it requires…. The government tells faith communities that religion is a private matter, and eventually, they come to believe it. Thus, a New Testament Church (“NTC”) – that is, a church operating according to New Testament principles – is non-taxable, because even if the term “taxable” is used, civil government cannot, according to its own IRS law, tax a NTC because (1) all her income is from gifts (See Section 102 of the IRS Code; Professor Hatfield points this out in his article), and (2) a NTC spends every dime given in tithes and offerings for church ministries. Since gifts are not net income, what is left after subtracting expenses from net income? Even a business with no net income pays no taxes. And an individual or a business has to make a certain amount of money before paying any taxes. How can it be that “Bible believing” Christians have gotten the churches of America so far astray from the principles for churches laid down by God in His Word? Are pastors and Christians ignorant or are they willfully ignorant? We cannot hope to straighten America out unless we first straighten our churches out, but it seems that more Christians are concerned about the state of America than they are about the state of the churches in America. God’s people and God’s churches, as well as America, are being destroyed because of a lack of knowledge. Note. The sodomites understand what 501(c)(3) for churches means, yet pastors and other Christians continue to ignore the issue because they, like lepers to whom the leprosy has spread to the head, have ‘their understanding darkened, being alienated from the life of God through the ignorance that is in them, because of the blindness of their heart: Who being past feeling have given themselves over to lasciciousness, to work all uncleanness with greediness” (Ephesians 4.18-19). Here is a link to a sodomite article on the issue: “Equality is what we’re all about in Maine” (110518: Checked link; link is no longer active). Lecture entitled “Hierarchy of Law” by Jerald Finney on August 26, 2012 at Old Paths Baptist Church in Fayetville, Tennessee on the 16th anniversary of that church and also the day the church finalized their change from incorporated 501(c)(3) religious organization and legal entity to a non-legal, spiritual enity only. “Woe unto them that call evil good, and good evil; that put darkness for light, and light for darkness; that put bitter for sweet, and sweet for bitter” (Is. 5.20)! I would guess that most Christians would apply this verse, as I have in the past, to the unregenerate, and possibly to carnal Christians. But having been intimately involved in two fundamental Bible believing churches since being saved, I have by experience learned that many pastors, missionaries, and other Christians have been deceived as to the doctrines of church, government, and separation of church and state to the extent that they call certain evil good and certain good evil, put darkness for light, and light for darkness, bitter for sweet, and sweet for bitter. Please let me explain. Many avenues are open for a church to become a legal entity. A few of many examples are incorporation, corporation sole, unincorporated association, 501(c)(3) tax exemption, and taking insurance in the name of the church. A New Testament church (which, in America, is also a United States Constitution First Amendment church) cannot also be a legal entity. A New Testament or First Amendment church is a spiritual entity only, and cannot sue or be sued. A New Testament church is a spiritual body of whom Christ is the head and the members on earth the body (Jn. 3.28-29; Ro. 7.4; 1 Co. 12.12-27; Ep. 1.22-23; 4.15-16; Col. 2.19). The Bible calls Jesus Christ the bridegroom and husband of the church who is the bride and wife (see, e.g., Ep. 5.22-33; 2 Co. 11.1-4; Re. 19.6-8). (1) The sovereign of a non-profit or private corporation such as an incorporated church is the state (see, e.g. 18A AM. JUR. 2D Corporations §§ 74, 156 (2007)). (2) “A corporation is an artificial being, invisible, intangible, and existing only in contemplation of law. As a mere creature of law, it possesses only those properties which the charter of its creation confers upon it, either expressly or as incidental to its very existence; these are such as are supposed best calculated to effect the object for which they were created. It is essentially the legal identity of a set of contractual obligations and entitlements” (18 AM. JUR. 2D Corporations § 1 (2007)). 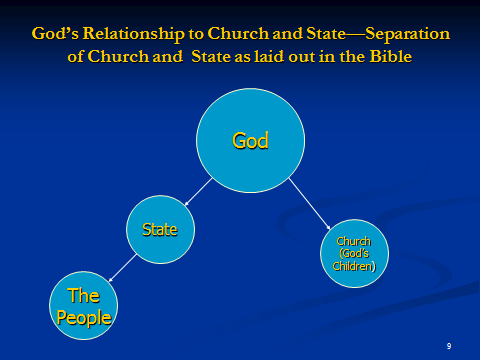 A biblical and historical Baptist principle is that God desires separation of church and state, not separation of God and church or separation of God and state. Study Jerald Finney’s writings and/or audio teachings to discover the truth about and how to apply this principle. (3) “A corporate charter frequently is described as a contract of a threefold nature; that is, a contract between the state and the corporation, a contract between the corporation and its stockholders [or members if a private religious corporation], and a contract between the stockholders [or members] inter se. The charter also is spoken of as a contract between the state and the corporators” (18 AM. JUR. 2D Corporations § 81 (2007)). Other contracts are created by the bylaws of the corporation: contracts between the members or stockholders of a corporation, and contracts between the corporation and its members or its stockholders. Contract is not biblical because contract leaves God out of the equation. The controlling party to the contracts involved in church incorporation is the state, and the state will not allow biblical principles to be invoked in resolving any disputes arising under those contracts. The multiple contracts created by the articles of incorporation and the bylaws entangle the incorporated church with earthly satanic concerns. (4) An incorporated 501(c)(3) church gets part of her powers from God and part from two civil governments-the state of incorporation and the federal government. She is under three heads. The church, as a legal entity, can sue and be sued as to both earthly and spiritual matters. The church must have elected officers who conduct business meetings, meet statutory requirements, etc. as required by the law of the sovereign, the state of incorporation. The church, be getting 501(c)(3) status, agrees that she will abide by the rules that go along with 501(c)(3); the church has become part of the 501(c)(3) government education and control scheme for churches. (5) The incorporated church, as has been stated, is an artificial person and a separate legal entity. This has many ramifications. (6) The purpose of the corporation is at odds with the God-given purpose of a church. Ultimately, the purpose of a church is to glorify God by submitting herself to her Husband in all things (See Ep. 5.24). The basic purpose of incorporation is to allegedly increase the happiness of man by creating a “distinct legal entity, with legal rights, obligations, powers, and privileges different from those of the natural individuals who created it, own it, or whom it employs” (18 AM. JUR. 2D Corporations § 44 (2007)). (7) A corporation and a church have different creators. Church members, under authority of and in conjunction with the state, create the corporation. God supernaturally creates a church: “And the Lord added to the church daily such as should be saved” (Ac. 2.47b). (8) The organization of a church and a corporation are different. The incorporated “church” has “employees.” Even should the incorporated “church” call their “employees” ministers, the state looks at them as “employees,” and the state is the sovereign of the corporation. A New Testament church cannot have employees and remain a New Testament church. (9) Whereas a church is to have pastors, teachers, and so forth, state laws which create corporations require the corporation to have officers such as president, treasurer, secretary, and so forth. (10) Ownership of a church and a corporation differ. “Members in a nonprofit corporation are the ‘owners’ of the corporation and generally play a role similar to shareholders in for-profit corporations” (18A AM. JUR. 2D Corporations § 609 (2007)). The corporation owns the assets of the church. Jesus Christ owns a New Testament church, and a New Testament church owns nothing. In America, a New Testament church can still enjoy the use of both real and personal property without owning it. Old Paths Baptist Church church and state law ministry helps churches structure themselves as New Testament churches. (11) An incorporated church must deal with all the government red tape that comes with incorporation. The incorporated church must now elect officers, hold business meetings, notify members of those meetings pursuant to statutory requirements, keep records, etc. All these secular activities take tremendous time, energy, and resources which could be used in pursuing the God-given purposes of a church. The incorporated church who does not comply with statutory requirements is being dishonest and could face further problems from her sovereign state. (12) An incorporated church, having compromised her love for her Husband, will continue to make incremental compromises, and ultimately (perhaps in 1, 5, 10, 50, 100, or 200 years or more) will fall into heresy and apostasy. And from the beginning of that initial compromise, the Lord, even though longsuffering in His love and mercy, is grieving because of His wife’s compromise. (13) A corporation cannot be the bride of Christ, the wife of Christ. The incorporated part of an incorporated church is not the bride of Christ, the wife of Christ, but rather an extramarital illicit relationship existing alongside the marriage. An analysis of corporation sole and unincorporated association reveals the flaws in those types of legal entities when applied to churches. Internal Revenue Code 501(c)(3) tax exempt status puts a church further under the control of the state and is thoroughly analyzed in two of the above mentioned books written by Jerald Finney. Any time a church sets herself up to be a legal entity, she violates biblical principle, grieves our Lord, and puts herseslf on the road to heresy and apostasy. As long as a church has a good pastor, God will still bless that church to an extent. However, both the Old and New Testaments warn about the ultimate consequences of taking that first step away from our spiritual lover. Sooner or later, a state church will have a pastor who will no longer honor God, and she will degenerate deeper and deeper into heresy, and ultimately into apostasy. My pastor is a great man of God who preaches the whole word of God. In the past, before I became a member of Old Paths Baptist church, I attended church conferences which were well attended by pastors and missionaries. At those conferences, certain of those pastors and missionaries have struck out against the fact that the church which I attended was not a state incorporated 501(c)(3) church. In addition, I have, over the years, witnessed many other Christians who believe that a church in America should become state incorporated 501(c)(3) church, and have seen them become very angry at a pastors who refuse to operate as a state church. These Christians are, in effect, calling evil good and good evil. They are, as to this aspect of their Christian walk, proceeding without knowledge and wisdom; they are walking in darkness rather than light. They know not of which the speak (and act). They are on the road to heresy and apostasy. One more relevant matter (mentioned above) needs to be addressed. A church in the United States can choose to be either a New Testament church who operates according to biblical principles or a state church. The First Amendment to the United States Constitution as well as provisions in most or all state constitutions provide that churches can operate totally free from governmental control. Churches in America, by law, can operate according to the principles of the Word of God. Those who choose the latter will not be defined, controlled, and restricted by the world as is the state church, but they will suffer a degree of persecution by some other Christians. “As ye have therefore received Christ Jesus the Lord, so walk ye in him: Rooted and built up in him, and stablished in the faith, as ye have been taught, abounding therein with thanksgiving. Beware lest any man spoil you through philosophy and vain deceit, after the tradition of men, after the rudiments of the world, and not after Christ.” They have not, to one degree or another, escaped the corruption that is in the world through lust because they have not added to their faith knowledge without which they are “blind, and cannot see afar off.” When God’s people reject knowledge, they will be destroyed (see 1 Peter 1.4-10; Hosea 4.6). Do you want to go to church? From all accounts, fewer and fewer people in the aggregate are going to church each year – including, and maybe especially, to “Bible believing” churches. According to Dr. Larry Crabb, he, along with many of his peers, would rather go to his favorite local coffee shop and read a newspaper than go to church on Sundays. Why? Through the chapters of his new book, Real Church, Dr. Crabb reveals his secret that he doesn’t want to go to church anymore, and discusses the different reasons people go to church and why he should go to church. Then he describes four characteristics that he believes the “real church” would have. Permit me to ask some contemplative questions directed to born-again believers. Do you go to what claims to be a “Bible believing” church? If so, does your church leave deep parts of you dormant, unawakened, and untouched? Do you find your church’s familiarly, the predictabilty of pattern and content boring, superficially exciting at best, where emotions sometimes get stirred that get unstirred by the time you reach your car? If you are hungry for spiritual formation, does your church or the churches you have attended just focus on solving particular social or emotional problems rather than members’ spiritual problems? Can you describe your church as little more than a “self-help” club? Are all services and classes geared toward the preaching of salvation and/or solving individual and family problems – in other words, is your church (or Bible college or seminary) no more than a spirtual kindergarten and, perhaps, grade school? Once you have mastered spiritual kindergarten and grade school, do you desire to go on to spiritual middle school, then to high school, and finally to a spiritual institution of higher learning? Does your church stop at kindergarten or grade school? Can you find a spiritual and Bible based middle school, high school, and/or institution of higher learning? Have you studied God’s Word enough to know if your church teaches and practices the whole Word of God? Do you want your church to teach and practice the whole Word of God, or do you desire only one of the Americanized and/or Bible college or seminary versions of the Word of God which leave out or pervert many doctrines such as the doctrines of persecution, walking in the spirit, spiritual warfare, church, government, and separation of church and state, etc.? If you do go to church, do you want to go to church because you love church, or because of some inadequate reason such as “it is the right thing to do”? Are you disappointed, frustrated, and concerned with church? Do you want to know what kind of church God envisioned – in other words, do you want to know and understand the biblical doctrine of the church – for example do you know the biblical definition, organization, and purposes of a church, that the church is analogized as the bride and wife of Christ who is the likened unto the bridegroom and husband of the church, that “Christ loved the church and gave himself for it” (Ephesians 5.25), that Christ wants to be the only head of His church and churches (see, e.g. Ephesians 5.23 and Colossians 1.18), and how a church acquires another head in addition to Christ, thereby grieving the Savior? If you have turned away from going to church, maybe that is because most churches have “a form of godliness, but deny the power thereof ” (see 2 Timothy 4.3). Without a doubt, this is a time of heresy and apostasy in most churches in America. 2 Timothy 2 deals with the path of a good Christian soldier (and everyone who is saved has been enlisted in God’s spiritual army; many have gone AWOL) in time of apostasy. Have you put on the whole armor of God (see Ephesians 6.10-18)? 2 Timothy 3 predicts the coming apostasy and the believer’s resource – the Scriptures. 2 Timothy 4 describes a faithful servant and his faithful Lord. The faithful servant is commanded: “Preach the word; be instant in season, out of season; reprove, rebuke, exhort with all longsuffering and doctrine” (2 Timothy 4:2)(emphasis mine). “All” means “all.” Many pastors and Christians – including most pastors and Christians in “Bible believing” churches – do not preach and teach “all” biblical doctrines because there are many who will “not endure sound doctrine” and will “heap to themselves teachers, having iching ears” (2 Timothy 4.3). And, after all, should some of those humanistic members leave, the religious organization could not pay for many perceived necessities such as legitimate biblical ministries (in the case of some churches) as well as buildings, programs, salaries, retirement benefits for their “clergy,” salaries for employees, etc. In short, religious modernism (humanism) which caters to the “happiness of man” rather than the “glory of God” (biblical) has captured, to varying degrees, most American churches, including many or most “Bible believing” churches as well as the mega-churches and many smaller churches whose pastors and leaders have flocked to seminars given by mega-church leaders and copied their humanistic, as opposed to biblical, techniques. These churches “have a form of godliness, but deny the power thereof” to a greater or lesser degree. As to spiritual matters, people in those churches are “ever learning, but never able to come to the knowledge of the truth” (see 2 Timothy 3.7). Religious modernism failed, with a few exceptions, when it first hit America in the eighteenth and nineteenth centuries; but it has again raised its ugly head and is now succeeding. Religious modernism destroyed the churches in Europe, and is now in the process of destroying the churches in America. The “church growth movement,” is fueled by humanism and caters to the flesh or to the self. One who seeks fleshly, as opposed to spiritual, satisfaction, always seeks more fleshly satisfaction. Sooner or later, the more fleshly a church becomes, the more heretical she becomes and eventually total apostasy results. On the spiritual level, the greater fleshly craving is being satisfied by ever more evil spiritual movements such as the “emerging church movement” (see 2 Timothy 3.1-7; 4.3-4). For many people both saved and lost, once they realize that what they are seeking (true spirituality and/or spiritual growth) cannot be found in church, many of them go to the coffee shops (or to some false religion) rather than to church; they are drinking coffee and seeking happiness (through false religion or worldly activities, etc.) rather than seeking to glorify God by lighting the world; walking in the Spirit in knowledge, understanding, and wisdom; fighting the spiritual warfare they have been called to fight; and winning souls. P.S. My inspiration for this article was my own observations and experiences and the article “I don’t want to go to church anymore” which can be seen at http://www.prophecynewswatch.com/September03/0382.html. God chose his children to be soldiers who are involved in a spiritual warfare. They cannot please God should they entangle themselves with the affairs of this world (2 Ti. 2.4). The weapons of their warfare are not carnal, but spiritual; and they are to cast down “imaginations and every high thing that exalteth itself against the knowledge of God” (2 Co. 10.3-5; Ep. 6.10-18). The Christian is to put on spiritual armor, which includes girting his loins with truth and taking the “sword of the Spirit, which is the word of God” (Ep. 6.14, 17). God hates lies and half-truths (see, e.g., Pr. 6.16-19). He will sweep away a refuge of lies (see Is. 28.14-18). Yet this is the tactic of some modern day Christian leaders. David Barton is one of those who is almost deified by many Christians. Millions blindly follow him. Yet some studied Christians and secularists are aware of Barton’s inaccuracies which are apparently intended to promote his false theology of union of church and state. One such Christian is James Beller; one can study his book, The Coming Destruction of the Baptist People, for information on Barton and others of the reformed persuasion. In this blog, I want to concentrate more on one secular analysis of Barton. In an online article (printed by permission at http://candst.tripod.com/boston1.htm, and originally published in Church and State, Vol. 46, No. 4, April 1993, pp. 8-12) entitled “Sects, Lies and Videotape/David Barton’s Distorted History,” secularist Rob Boston finds David Barton easy prey. In the article, Boston then gives many examples of Barton’s bad history. Of course, Boston mixes in some inaccuracies of his own, but the point is, secularists and Christians can check to see if Boston is telling the truth about Barton’s bad history. In the main, Boston is correct. With one fell swoope he completely discredits not only Barton, but also the millions of undereducated Christians who blindly follow him. Are others thereby encouraged to look into the truths of Christianity? After seeing the obvious lies and distortions of a leading Christain, are they more likely to seek the truth of salvation? Let me briefly say that I was one of those miseducated Christians who blindly followed Barton and others of his ilk for many years. As I worked with millions of other Christians, I simultaneously witnessed the futility of our efforts. America continued and continues to sink deeper and deeper into immorality, humanism, and pluralism before our eyes. American “christianity” continued and continues to increase its heresies and apostasies. More and more American churches were and are obviously seeking the “happiness of man” rather than the “glory of God.” They were and are becoming “social clubs” patterned after worldly and satanic principles rather than “houses of God” formed, organized and operated according to New Testament church doctrine. Why would Barton and others use anti-biblical lies and methods to further their agenda of union of church and state? I am not sure about Barton, because I am not sure he has any understanding and wisdom. I must note here that he can memorize selected facts, lies, and half-truths and present them more effectively than anyone I have ever seen. But I do know that many of those he quotes, relies on, and recognizes are covenant theologians who want union of church and state (an established church or churches), and also justify lying to achieve their goals. They actually twist Scripture to advocate that Christians should lie in the spiritual warfare we are engaged in. I cover this in much more detail in The Trail of Blood of the Martyrs of Jesus/A Case of Premeditated Murder: Christian Revisionists on Trial and in God Betrayed/Separation of Church and State: The Biblical Principles and the American Application. God’s Word teaches that He desires every Gentile nation to choose to proceed under Him and His principles. However, the Bible also teaches that God does not desire any Gentile nation to work hand in hand with, over, or under a church or churches. It’s very simple. A church is not God. Combining church and state violates several biblical principles including the principle of separation. Church and state are so distinct that they are mutually exclusive. Again, see God Betrayed for a thorough study. God ordained only one theocracy, the theocracy of Israel. He was, until Israel asked for a king as recorded in 1 Samuel 8, directly over the nation and the Jewish religion and state acted hand in hand. However, Gentile nations were to proceed under the original plan which God ordained at the flood. Gentile nations, of course, were given their authority by God and were to exercise their God-given authority under Him. No nation, including Ameria, has ever chosen to proceed under God. It is one thing to be directly under God and His principles, but it is an entirely different thing to be under a church-state combination. Every such union has resulted in the corruption of individuals, families, the established church, and the nation. In addition and contrary to biblical teachings for Christians and churches, official state churches have always used the arm of the state to horribly persecute those labeled “heretics” by the official “church.” Millions were beheaded, burned alive, drowned, hanged, and put to death in the most unimaginably horrible ways because they refused to bow down to the false theologies of state churches. Our Baptist forefathers understood this. Many of our founding fathers understood this. James Madison and Thomas Jefferson clearly understood this as is easily seen by reading their words. See The Trail of Blood of the Martyrs of Jesus/A Case of Premeditated Murder: Christian Revisionists on Trial or God Betrayed/Separation of Church and State: The Biblical Principles and the American Application. But reformed leaders like David Barton obviously do not understand this so they cover up the true history of the First Amendment to advance their goals. Christians have a choice. They can continue to agree with hell and make lies their refuge, or they can choose to walk in the Spirit with knowledge, wisdom, and understanding. Should they choose the former, God will “lay judgment to the line, and righteousness to the plummet; and the hail shall sweep away the refuge of lies, and the waters shall overflow the hiding place. And [their] covenant with death shall be disannulled, and [their] agreement with hell shall not stand; when the over the overflowing scourge shall pass through, then [they] shall be trodden down by it” (see Is. 28.14-18). Good to hear from you, _______________. David Barton knows exactly what he is doing. He is among those “Christians” who believe it is OK to lie for a higher cause. The problem is that his cause is not the cause of the remnant of Bible believing Christians. At one time, David Barton was a hero of mine. However, when I began to intensely study the Bible (the Bible doctrines of church, state, and separation of church and state), history (the history of the First Amendment), and law (as to the First Amendment, church organization, the relationship between church and state), I found that David Barton was a false teacher (biblically, and especially historically). I had followed his, and other “Christian” writings (starting with The Light and the Glory in the 1980s). I just believed these writings, the teachings of which are regularly repackaged, published, and sold to unknowledgeable “Christians” who go into the political realm and fight a political battle not according to knowledge. I always knew that Barton’s writings were sloppy; but the real problems with his teachings and writings are much deeper. David Barton (and other leading “Christian” authors) select historical facts that support their goals, but leave out facts which give the whole truth. They, distort, lie, etc. This was a hard pill for me to swallow, but the truth is there when one studies it out. Once I learned that I had been used, lied to, and misled in order to support religious beliefs that were contrary to Scripture I became angry for a time. There are some good youtubes of his father and other Pentecostals with whom Cruz has been associated preaching. Let me preface this article by saying that I believe God desires America and every Gentile nation to operate under Him and His principles (I explain this fully in the book mentioned below). In order for a nation to so operate, she must be led by knowledgeable, active Christians who walk in the Spirit according to wisdom, knowledge, and understanding. Most Christians in America have not so walked. As a result, our individuals, families, and then churches fell, followed by our nation. The steps in the downfall of any nation are religious apostasy, moral awfulness, and political anarchy. America is well into the third stage. The blame belongs to pastors, Christians, and churches, not to the lost. The lost cannot get things right. Likewise, carnal, baby, or misled Christians cannot get things right. As many of you know, I have many times forwarded the Wake-Up Herald because of the tremendous insights or information imparted therein. However, I take strong issue with much of what is in this issue of the Wake-Up Herald (see below). Men like R. J. Rushdooney, Gary Demar, Gary North and other “dominion theologists” have led American Christians down the wrong path for many years. Since American Christians have followed and promoted lies for many years, America has gone downhill. However, and more importantly, American churches have sunk deeper into heresy, many into apostasy, with each passing year. An army of Christians, following incorrect biblical teachings such as those of Rushdooney, have led the way. They have fought to bring America back to God, but they have fought without true knowledge, understanding, and wisdom. I believe that Satan is very pleased with the efforts of the vast majority of Christians in America. The leaders of the movement – as well as many of the followers – for the most part, have been following the lie that the church and state working together will bring peace and unity to America and to the earth and thereby will usher in the kingdom of heaven to the earth. Of course, most of those Christians who have been working for this goal have no idea of what they are doing – they are just doing because they truly want to serve God. Sadly, they have not put on the whole armor of God and they are working in the flesh rather than in the Spirit with knowledge, wisdom, and understanding. R.J. Rushdooney as with all dominion theologists, has incorrectly divided Scripture concerning the issues of church and state or civil government. I have covered the biblical teachings on government, church, and separation of church and state as well as the American application thereof, in God Betrayed/Separation of Church and State: The Biblical Principles and the American Application. That book, and others I and others have written, may be ordered from the “Books” page of churchandstatelaw.com. Just as one cannot understand Rushdooney’s statements without a complete understanding of his church-state theology, I cannot counter Rushdooney’s absurd statements quoted below in a short article, but the truth is presented in God Betrayed and also on a radio broadcast (with less detail than the book) I am now doing (see the next paragraph). I have also prepared broadcasts that follow the outline of God Betrayed/Separation of Church and State: The Biblical Principles and the American Application. Those may be listened to by going to the “Audio Series on God Betrayed” page of this website. These broadcasts systematically analyze the subject of “Separation of church and state: the biblical principles and the American application.” Section IV of the series gives the true history of the First Amendment, not the inaccurate history presented by dominion theologists and blindly followed by many premillennialists and others. I give hard facts that cannot be denied; facts that most Christians have never read or heard. Despite Jesus’ urging, the Pharisees and Sadducees refused to look at the evidence – including the historical evidence, facts, and history – in the Scriptures that would have proven to them that Jesus was the Messiah. Most modern day “Bible believing Christians” likewise have their eyes closed to true biblical teaching (concerning history, law, and theology), as well as the application of those and also history, law, and the application of Bible teaching in America. Before we can get America straightened out, Christians must get their churches straightened out in every way. In order to straighten our churches out, individual Christians, families, and churches themselves must begin to walk in the Spirit according to knowledge, wisdom, and understanding in all the principles in the Word of God. One cannot hope to get America straightened out without first getting themselves, their families, and their churches in line with the Word of God. God has called me to the ministry of helping churches who love the Lord and want to to please Him by operating according to New Testament principles instead of according to the principles for the Jewish religion laid out in the Old Testament. Most American churches have chosen to dishonor God by becoming state religious organizations through incorporation, corporation sole, unincorporated association, 501c3, etc. Many of those who have tried to honor God in this area are dishonoring Him in other ways. Ignorance (many times wilful), fear, pride, and greed dominate most of our Bible-believing churches. I am involved with this issue because God called me into this ministry. I could be living a much quieter and materially richer life if I discarded the knowledge, understanding, and wisdom God has revealed to me through intense study over the last few years. However, such a life would not be peaceful since I would be refusing to serve my Savior according to His leading. The following verse, although directly addressing the Jews, applies (although not perhaps to their salvation): “For I bear them record that they have a zeal of God, but not according to knowledge” Romans 10:2. After we as Christians get ourselves and our churches straightened out, then maybe we can make a difference in America; that is, if it is not too late for America. De`chris´tian`ize v. t. To turn from, or divest of, Christianity. ram·page (rmpj) n: A course of violent, frenzied behavior or action. The totalitarian reconstruction of America proceeds at a dizzying pace. It is, in Robert Knight’s words, “the rapid, brick-by-brick installation of a radical government-directed social order that will have dangerous implications now and for generations to come”. And, “Before our very eyes we are seeing government become Provider, Judge, and Possessor of All Authority. In short, government is becoming a secular god to which all will be called to kneel—or face sanctions”. Robert Knight, Fighting for America ’s Soul: How Sweeping Change Threatens Our Nation, pp 9, 10. “Tyranny … was in its origin secularism, a rule founded on man-made laws,” R. J. Rushdoony wrote. “This secularism is the religion of humanity, the most oppressive, dangerous, and persecuting of all cults, because it has no law beyond itself as a check to its lust for power.” ~The Nature of the American System ( Vallecito , CA : Ross House Books, 2001 ed. ), 73. “What then is the basic problem? Not only is every Church a religious institution, but every state or social order is a religious establishment. Every state is a law order, and every law order represents an enacted morality, with procedures for the enforcement of that morality. Every morality represents a form of theological order, i.e., is an aspect and expression of religion. The church thus is not the only religious institution; the state is also a religious institution….The real issue is not between church and state, but is simply this; the state as a religious establishment has progressively disestablished Christianity as its law foundation, and, while professing neutrality, has in fact established humanism as the religion of the state. When the religion of a people changes, its laws inevitably reflect that change and conform themselves to the new faith and the new morality. There has been deception on the part of the courts, by their profession of religious neutrality, as they have substituted one religion for another, humanism for Christianity. The basic reason, however, has been the theological collapse of the churches, and this has been true of all of them….This theological collapse led to the untenable belief in religious neutralism and to the surrender of Christian schools for statist education. If there is no God, no judgment, no life after death, there remains only the here and now, with each one of us in existential isolation; and whatever you’re going to get, you’d better get it now. But ultimately the only ones who profit are the rulers of the state. America’s Christian heritage is both rich and deep. What most historians and educators refuse to acknowledge, our forebears understood clearly: it was mostly Christians and churches that formed and shaped the new land that became known as the United States of America . For example, when discussing the brave exploits of the passengers on board the Mayflower, people seem to have forgotten that the voyage was mostly the endeavor of a single church congregation. And don’t forget that it was Pastor Jonas Clark’s male congregants who withstood British troops at Lexington and fired the very first of the shots heard ’round the world. The famous French historian, Alexis De Tocqueville, credited the pulpits and churches of Colonial America with inspiring America ‘s successful War for Independence and subsequent prosperity much more than its institutions of learning, halls of Congress, or industries of invention. From the very beginning, America ‘s Christians and pastors were intricately involved in the establishment and building of this republic. It is no hyperbole to say that without the influence, sacrifice, dedication, blood, sweat, and tears of America ‘s early Christians, this country would not exist. But what do we see today? We see pastors and church congregations who are, for the most part, totally ignorant of their own heritage and history. They have little or no understanding of the principles of Natural Law–something America ‘s founders knew almost by second nature (no pun intended). They seem to know next to nothing of the Biblical principles of liberty and government. All they seem to be able to do is regurgitate some mindless interpretation of Romans 13–an interpretation that could have been written by King George III or even Adolf Hitler. Read my column regarding Romans 13. Ignoring the great examples and exhortations of both Testaments, today’s Christians seem to have lazily latched onto a modern-day “divine right of kings” philosophy, through which they have become the pathetic slaves of arrogant and pompous political wolves dressed (barely) in the sheepskins of legitimacy. Where are America ‘s watchmen on the wall? Where are the great stories of courage and commitment demonstrated by America ‘s founders that once emanated from church pulpits? How is it that today’s Christians know more about sports celebrities than they do America ‘s heroes? How is it that these lying, conniving, con artists called politicians can sucker church members as easily as they do the un-churched? How is it that Christians do not seem to recognize the devilish doctrines of socialism, fascism, elitism, or globalism for what they are? How can they be so easily manipulated? How is it that these corrupt politicians–who vote to kill unborn babies, merge America into internationalist and global entities, strip Americans of their God-given natural right of self defense, promote homosexual marriage, or allow America to lose its identity, culture, and heritage through unbridled illegal immigration–remain in “good standing” with any number of supposed “Christian” churches? Even though there are more churches in America than anywhere else in the world, the pastors and Christians of this country have, for the most part, become completely irrelevant to preserving “the blessings of liberty”–or even fundamental Biblical principles, for that matter. Churches used to be respected as lighthouses in communities: places free from the jaundiced juxtaposition of political correctness and avarice. Today’s churches are filled with both. Where once churches stood as guardians of truth, they have now become progenitors of error. Where once preachers stood in the similitude of Elijah and John the Baptist, they now grovel in the image of Joel Osteen and Rick Warren. Sunday Schools were once bastions of Bible teaching; today they are glorified coffee shops and playgrounds. The modern Christian home cannot even disciple its own children: how can it then be expected to “make disciples of all nations”? I repeat, the modern American church has, for the most part, become irrelevant. The complete irrelevance of today’s organized church in America to the preservation of Christian liberty and constitutional government is especially disconcerting to those of us who still have freedom’s fire burning in our souls. Where do we go for respite and instruction? I tell you the truth: there are hundreds of thousands of patriotic, freedom-minded Christians all over America who have had it “up to here” with these spineless social clubs called churches! They are tired of petrified pastors groveling before corrupt politicians and businessmen. They hunger for truth, and they are not finding it in most organized churches. These people are not looking to be entertained or pampered. They do not care about social standing or making “business contacts.” They don’t care which church has the “most exciting” youth program, or how many softball teams it has. They want a church where the pastor isn’t afraid to speak truth to power and take a stand for liberty. And, unfortunately, such churches are getting harder and harder to find. In fact, I submit that the true church is not “emerging”; it is “submerging.” As in totalitarian regimes all over the world, where there are basically two types of churches: the organized State-approved church, where people who worship the State go to put on a religious show; and the underground church, where real Christians go to worship God with honest, like minded believers. The “underground” church in America is not totally underground–yet. But the schism is taking place rapidly. The Wake-Up Herald is published by Robert McCurry. The publication is designed to exalt the true God of the Bible, the Lord Jesus Christ, and inform, inspire, and challenge its readers regarding biblical truth and real-life issues. The contents are the sole responsibility of Robert McCurry and do not represent or speak for or on behalf of any other person or group. There is no subscription charge. The publication is a ministry of faith and dependent on the contributions of its readers. Contributions are not tax-deductible. Send all correspondence to: Robert McCurry, 605 Moore Rd Newnan , GA 30263 or herbap@aol.com Remove? Send reply with “remove” in Subject line.